Last edited by IainH on Thu Aug 04, 2011 6:24 pm, edited 1 time in total. 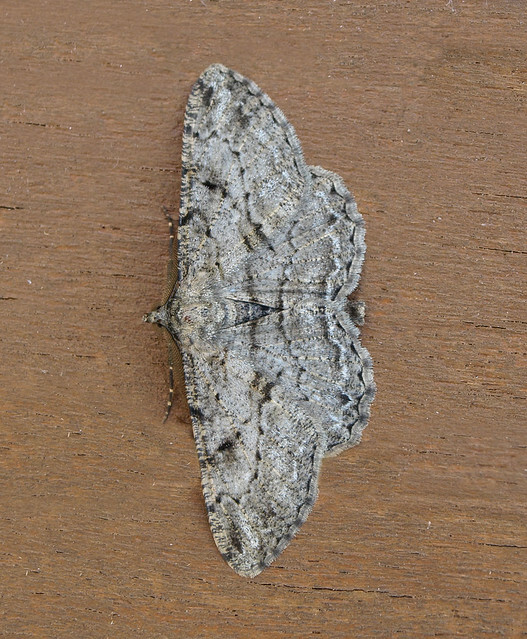 moth identification is difficult enough without there actually being a species called The Uncertain. 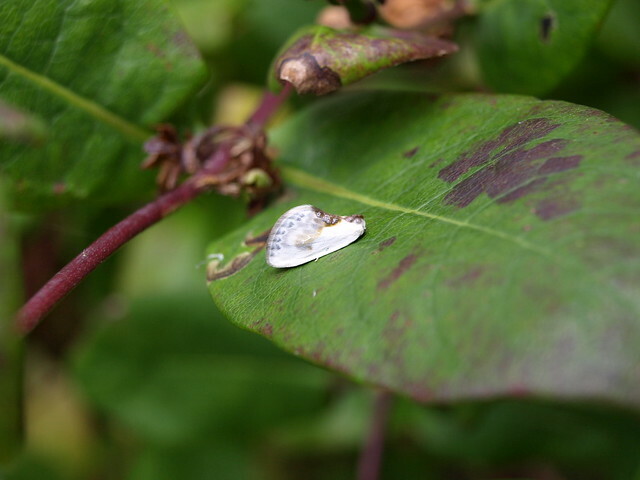 yes the Uncertain may be what most people think of a typical drab moth, but the fine markings of the Scallop Shell illustrate that gaudy colours are not required for a visually interesting moth. 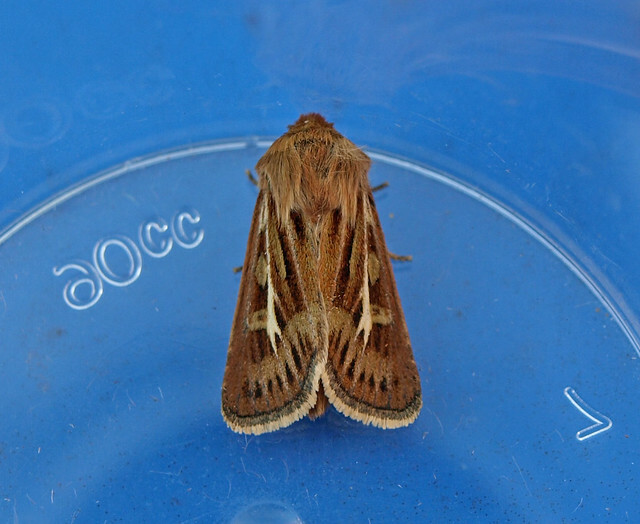 Fantasic photos and list of species Iain! The Chinese character is very cute. Quite a few uncertains to my trap in Glasgow over the last couple of weeks. I find that using a top quality compact camera - a Nikon P6000 - gives considerably worse results than my DSLR, an Olympus E510 with standard 14-42mm lens. I'm sure that many compact cameras give fantastic results. 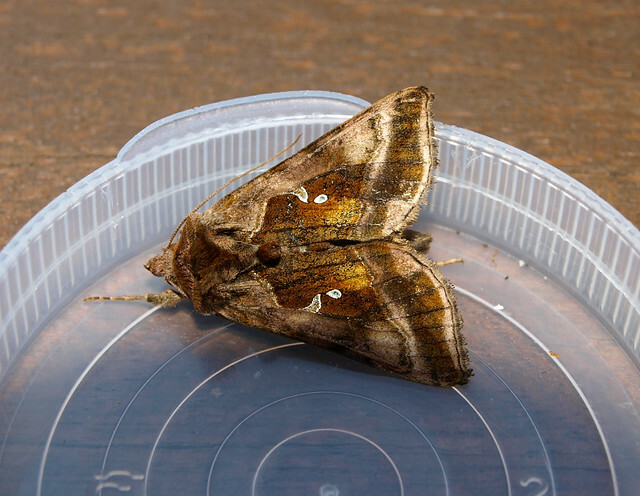 A DSLR can take good photos in poor light, which I find is often important with moths in the morning. I find that I often need to take a few shots before one is sharp; I tend to take a few shots each time and then pick the best one later. 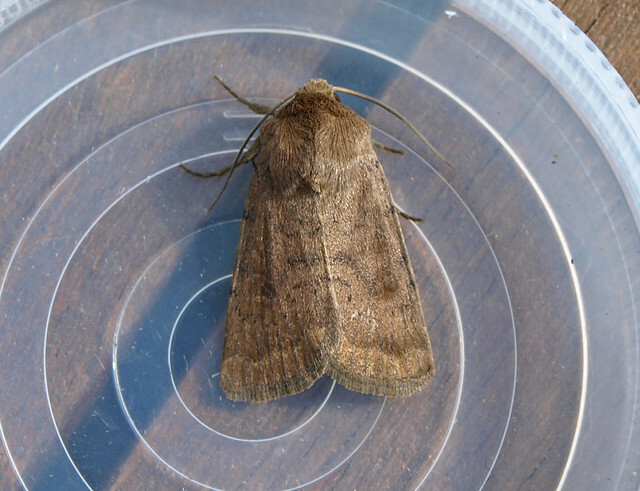 It's worth mentioning that it's a good idea to photograph the moth the second the lid is off the pot if one is photographing it for ID purposes. ...and one thing about posting photos on this forum. I upload my photos to Flickr; when viewing my photo I 'view in lightbox' by clicking the magnifying glass icon at the top right of the photo; click 'View all sizes' (at the top right corder of the screen); click Medium 640; then right click on and save the photo to my computer. It's this photo, saved on my computer, that I upload to this forum. 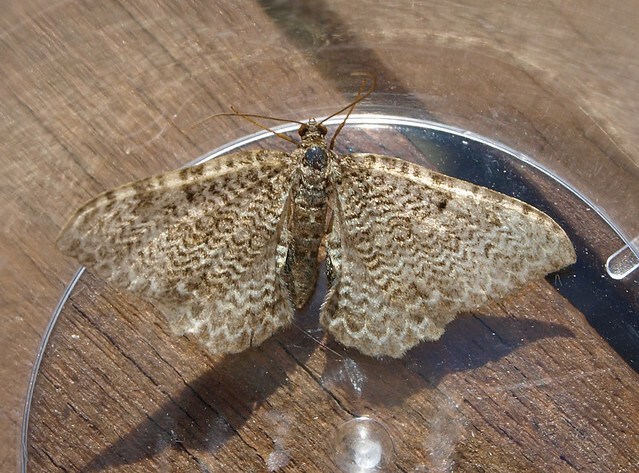 There are easier ways to edit and upload photos; however, when I'm in Ayrshire and away from a computer with photo editing software, I find this the easiest way to turn a moth photo from my camera into something that works in a post on this forum. 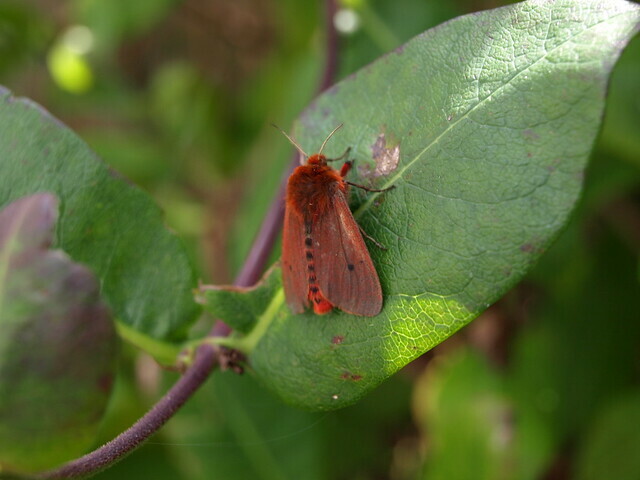 A daytime walk through wildflower-rich coastal habitats in the area produced a species of Ear moth on Ragwort in Stevenston and a Fox Moth caterpillar at Garnock East beside Bogside Racecourse. 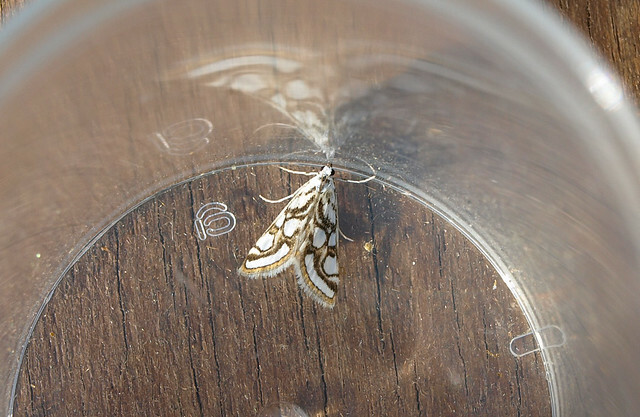 Inspecting some lights in a nearby conifer plantation the next morning produced a Beautiful China-mark (the lights are adjacent to a wetland) and 2 July Highfliers. 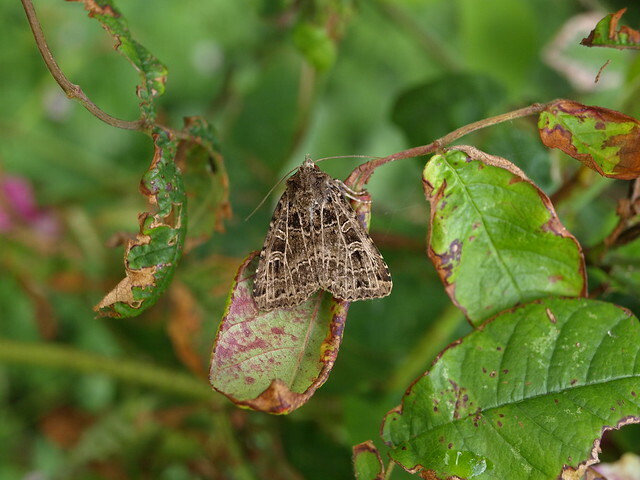 Additional species caught in a trap at the woodland edge were Common Marbled Carpet, Garden Carpet, Lesser/Common Rustic and Lesser Yellow Underwing. 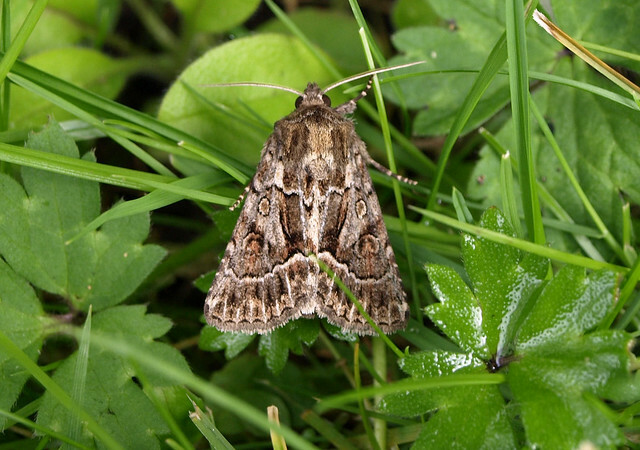 A bit of consultation suggests that photos taken of a moth trapped on the night of the 2nd August at Ardeer Quarry LNR depict Coast Dart (from a noctuid's point of view, Ardeer Quarry isn’t that far from sand hills).